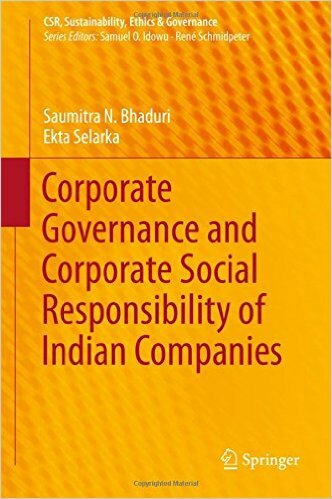 The book explores the theoretical and empirical issues relating to the interaction between corporate governance and corporate social responsibility (CSR) activities undertaken by Indian companies. It presents a highly detailed view on the evolution of CSR and its nexus with corporate governance. This is particularly timely in the context of the recent Indian Companies Act 2013, which mandates corporate social responsibility and revises the best corporate-governance practices for large companies. The findings of this study are unique in drawing from a unified framework of Indian corporate governance structure and corporate engagement in CSR. The book's scope is both academic and practical; the research methodology developed and utilized is useful for researchers, while the implications and the selection of variables provide useful information for practitioners and stakeholders. Finally, although it focuses on large Indian companies, the findings can also be applied to research on other emerging economies.